“LEGO Indiana Jones 2: The Adventure Continues” isn’t much different from the previous game, but it does offer a few welcome changes. The LEGO video games have become an almost yearly tradition since the conception of the original “LEGO Star Wars” during the previous generation of gaming. Not only are these games fun, but they’ve been a part of the past 2 years of holiday Xbox 360 console bundles. Of course, there are plenty of people who write these games off as kiddy or dull, but let me bust that myth right now! These games are most definitely some of the most simple fun to be had, regardless of which console you may own. With the old arcadey feel, drop-in and drop-out multiplayer and tons of characters, these are games built with everyone in mind. And with that, it’s time for the holiday season of 2009 and this year, we’re kicking it off with a bunch of new reviews. Read on for our take on “LEGO Indiana Jones 2: The Adventure Continues” for the Xbox 360. Much like every other LEGO-themed game, the visual quality simply has not changed. That’s not to say that this is an ugly game. In fact, as far as the whole LEGO universe gets, I suppose that this would be as realistic as it gets. With slight motion blur, vsync options, wonderful lighting and high grade textures, this is truly an attractive game. Of course, the fact that almost everything laying around in the LEGO world can be destroyed helps, too. Just like the original game, most of the soundtrack seems to be right on par with the original movies. As such, there’s a whole lot of epic orchestral music that sets the overall tone in line with the whole Indiana Jones theme perfectly. Other sound effects, including the grunts, laughs and other noises made by the LEGO characters are highly entertaining and in many cases, hilarious. While the visual quality is great and the soundtrack is epic, the gameplay is what really makes the LEGO brand video games so cool. Yes, it’s true that the controls and general game mechanics are very basic, even rooting back to the days of oldschool arcade games. However, that’s exactly what these games are aiming for. However, basic controls and a simple button mashing combat design are far from the only parts of this game. First of all, there are plenty of interactive scenes. They’re all handled with the same general context sensitive button, but the way things play out are completely different in every scenario. For example, you might simply build a latter with one set of pieces, while the next set of pieces may build a crazy machine of some sort. Simple as it may be, it’s a very fun mechanic and it’s definitely cool to watch. Aside from the combat and interactive scenes, there’s a whole lot of collect-a-thons. You can raise money to purchase characters, find all of the hidden LEGO blocks, search for the blue LEGO money; all sorts of stuff! There’s something special to find in nearly every screen of every level! And the best part? They unlock all sorts of really cool bonuses, like entire worlds and levels! Speaking of levels, this game isn’t so much an entirely new sequel as it is both a dumbed down collection and an expansion. The hubs have all been replaced with new interactive free roaming environments that require players to do a very small bit of exploration. I could see this possibly becoming confusing for the younger players out there, but for the most part it’s just fine. The hubs are never too big and there’s always a lot of fun stuff to do to keep players occupied even when they’re not actually playing any particular level. Of course, this wouldn’t be a complete game if there were no levels and let me tell you, there are more than enough levels to keep any avid gamer occupied for a while. Not only is the full “Kingdom Of The Crystal Skull” scenario included, but shortened versions of the original 3 scenarios are also on the same disc. The new scenario is fantastic and in many ways, the new levels are a lot more fun than the originals. Of course, the shortened original scenarios is rather disappointing. In fact, most of the cool scenes have been completely removed in favor of cutscenes. The cutscenes tend to be funny and the original scenarios are still fun, but don’t get rid of the original game! Multiplayer is handled both locally and over Xbox Live. Xbox Live play is simple, fun and completely lag-free, but local multiplayer has been changed in one dramatic way: the splitscreen view. The view is now on a diagonal angle and forces the camera to move in awkward ways, which leads to the camera getting completely stuck in really terrible spots. I don’t quite understand why this change was made, especially considering that there are a ton of people out there who still appreciate local multiplayer. Still, if you don’t care about the local multiplayer, that’s not a deal breaker in any way. In summary, the amount of content in this game is rather stripped down by comparison to the original, but don’t let that fool you. This is still an awesome game with plenty of collectibles and a fresh new take on the older LEGO hub system. I highly recommend picking this game up if you’re a fan of the LEGO games. +Slick and charming LEGO-themed visuals. +Very easy to pick up and play. +Plenty of things to destroy in the various environments. +New hub system is a nice change. +Online multiplayer is flawless and simple. -May be too easy for some players. -Local multiplayer has been completely ruined. -Original scenarios are shortened quite a bit. 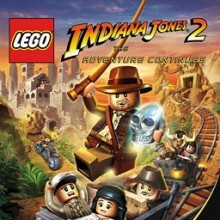 If you like LEGO games, this is a no brainer. Otherwise, rent or borrow it and go from there.